Les Sweetland. Record Holder. Antihero. On July 23rd, 1930, the Phillies took on the Pittsburgh Pirates in a doubleheader at the Baker Bowl. The Pirates had Hall of Famers Pie Traynor and Paul “Big Poison” Waner* on their squad, but were headed to a forgettable 5th place finish in the NL that year. The 1930 Phillies, on the other hand, were probably the most fascinating team in MLB history. They hit .315 as a team, the 3rd highest total in MLB history (Interestingly, the Giants hit .319 that same year to set the record). They had 1783 hits that season, still the most in MLB history. 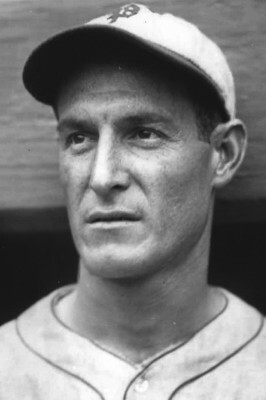 The Phils had 5 regulars who batted over .300, including outfielders Chuck Klein and Lefty O’Doul, who both batted over .380. Klein had perhaps the greatest regular season in Phillies history, finishing with a line of .386-40-170, and a slugging percentage of .687 (Jose Bautista currently leads the Majors with a .686). And yet, these Sultans of Swat finished 52-102, 40 games out of first. You read that right. A team that batted .315 collectively finished 50 games UNDER .500. How is that possible? Because the Phillies had the worst pitching staff in the history of baseball. The only team you could even compare them to was my Little League team that finished 0-15 in 1984 (True story). For some perspective, think about how terrible Adam Eaton was in 2008, when he went 4-8 with a 5.80 ERA. And just think, the 1930 Phils had 11 pitchers with worse ERAs than Adam Eaton. A few years ago, a guy named Tom Ruane wrote a paper called “Modern Baseball’s Greatest Hitting Team”. The answer? The opponents of the 1930 Phillies. Try these stats on for size: Phillies’ opponents batted .346 that year (27 points higher than those record setting 1930 Giants), with 1994 hits (200 more than the record holders, the 1930 Phillies) and scored 1199 runs (Over 130 more than the record holders, the 1931 Yankees.) The ace of that staff was none other than Phil Collins. And you thought No Jacket Required was his worst work. (Rim Shot). Actually, Collins wasn’t the problem. He was an almost respectable 16-11 with a 4.78 ERA. Ray Benge came next, with a 5.70 ERA. Then came two record holders. 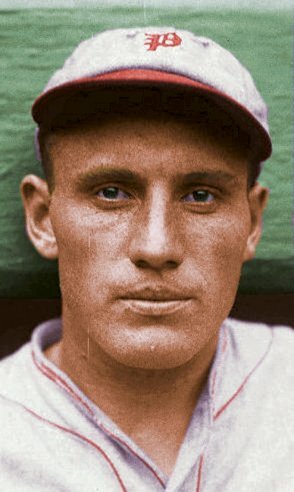 Les Sweetland set a record that year that has never been broken, throwing for a 7.71 ERA, (the worst of all time among pitchers who qualify for ERA title). #2 for worst all time was his teammate Claude Willoughby, with a 7.59 ERA. It must have been like Mantle and Maris chasing the Babe’s home run title that year. And Hal Elliot just fell short of qualifying for an ERA title, throwing 117 innings. Otherwise he would be 2nd, with a 7.67 ERA. That brings us back to that game against the Pirates on July 23rd of that year. Somehow, the Phils only gave up two runs in the first game of that double header, but their bats fell silent, and they lost 2-1. They came back with a vengeance in the 2nd game, rapping a team record 27 hits (a record that was tied in a 1985 game against the Mets). But in a perfect encapsulation of their season, they still lost the game, 16-15, in 13 innings, with Les Sweetland taking the loss. A day later, they would play host to the Cubs, and lose to them, 19-15. Claude Willoughby was the losing pitcher, being replaced without recording a single out. And so when people say they wish they could combine the 2008 Phils’ hitters with the 2011 Phils’ pitchers to make the perfect team, I argue that they’d be even better if you combined the 2011 Phils with the 1930 Phils. Hell, they’d win 130 games. And Chuck Klein probably wouldn’t want to punch every starter in the face for ruining his greatest season ever. *How badass of a name is “Big Poison”? I want to steal it. Can you start calling me that? Please start calling me Johnny “Big Poison” Goodtimes. It would be greatly appreciated.